Facebook boss Mark Zuckerberg clearly thinks that imitation is the sincerest form of flattery: as he launched an important new Facebook service, he described Google's Facebook rival Google+ as "validation" of his vision. The future, Zuckerberg says, is social - and it seems that Google agrees with him. 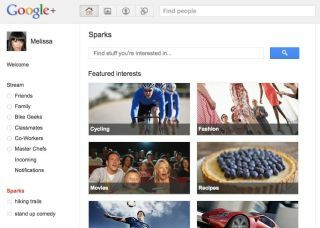 With some irony, Zuckerberg is currently the most popular Google+ member. Zuckerberg was showing off Facebook's new Skype integration, which is likely to be more popular than Google's similar but proprietary Hangout feature in Google+. For now users will be able to use video chat within Facebook, but before long the service will expand so that you can call your Facebook friends on the phone too. As Chris Smith reports: "If one of your Facebook friends is online and has their phone number listed, you'll be able to call their handset in the same way that you would initiate a text chat. Just like when using your regular Skype app, voice calls to mobile phones will be charged, but it is not yet clear whether members can use Facebook or Skype credit for the service." The Facebook-Skype deal isn't a surprise - our columnist Gary Marshall predicted such a deal back in May, arguing that "Integrating Skype with Facebook would be a win-win situation for Microsoft and Facebook alike, with the former gaining access to Facebook's massive user base and payment system and the latter getting a voice and video system without having to spend any money building it". Also, rumours of either a Skype deal or a Skype-a-like have been flying for years - but we are surprised it happened so quickly. It isn't the only new chat feature in Facebook, either: text chat has been beefed up too, so you can now chat with groups of people as well as with individuals. The new features are designed to keep Facebook ahead of the pack as social networking continues its explosive growth. and the number of Like, Tweet, Follow and + buttons on web pages increases accordingly. As Zuckerberg explained, "The amount of stuff that is shared today is twice what it was a year ago. That kind of exponential growth is profound... if you look at how sharing is growing, then you can plot this out in the future. So, if this is what people are sharing now then what apps do we have to create to encompass this in the next few years." While Google and Facebook are using very similar weapons in the battle to be the social networking king, Twitter is taking a slightly different tack: in addition to facilitating angry internet mobs, the service appears to be positioning itself as the place to go when you want to talk to companies. The firm is changing the rules regarding direct messages, which can't be sent to accounts that don't follow you. In the future, it seems, you'll be able to DM companies even if those companies don't follow you back, turning Twitter into a kind of customer service channel. We very much doubt the rule changes will apply to individual users' accounts, though. Imagine the spam. News Corp paid $580 million for it in 2005, but sold it last week for just $35 million. As reader Optimaximal points out, internet empires don't always last. "Once all the fickle userbase has moved on to 'the next big thing' (or you make a monumental PR screw-up that kills everything), all you're left with is a server farm and some obsolete user data."